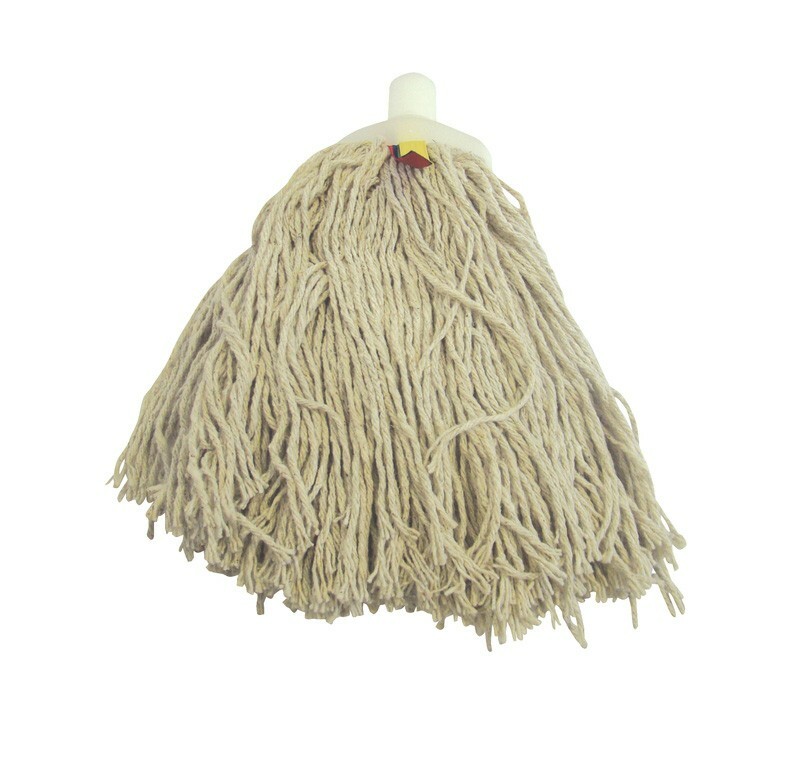 SYR Intersocket 160g Twine Mop Heads are a general purpose mop head, ideal for a variety of cleaning tasks. The mop heads feature a plastic socket which can be used with either a SYR Interchange mop handle or a standard threaded mop handle. The mop heads can also be colour coded as they feature a blue, green, red and yellow ribbon, simply removing the three unrequired colours will leave the desired colour. Ideal for use in schools, nurseries, hotels, nursing homes, hospitals etc. An ideal low cost option to mopping. Also available as a 260g (No.16) mop head. Full case pack size - 50 mop heads.